Our RV, The Kokopelli, sits by the side of the house this morning prior to our selling it to Abby’s cousin, Donald Ashford. After seven years of recreational vehicle (RV) ownership, Abby and I have sold our RV, The Kokopelli, for an undisclosed but very reasonable price to Abby’s cousin, Donald Ashford. 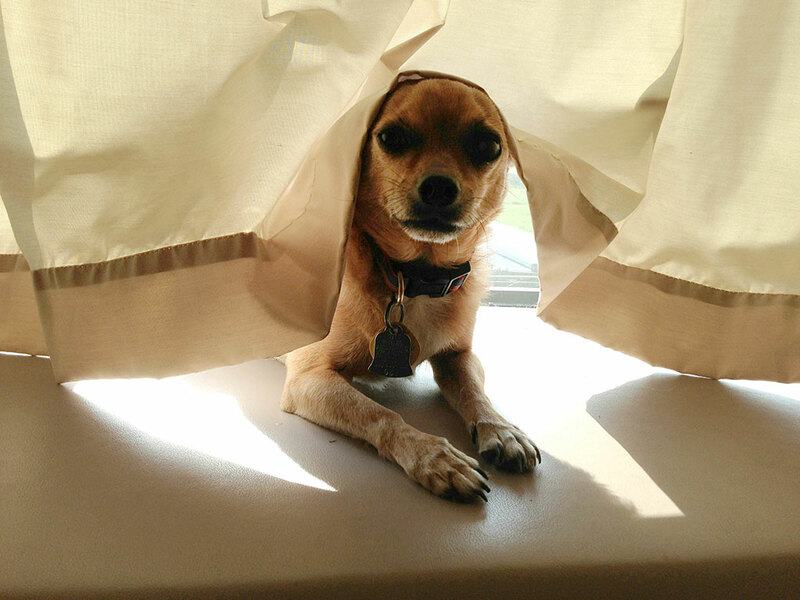 When we took the RV places, Max the Chihuahua preferred to ride in the sun on the dashboard. When Abby and I bought this RV from some neighbors down the road, gasoline was cheaper than it is now, and most everything on the machine worked. 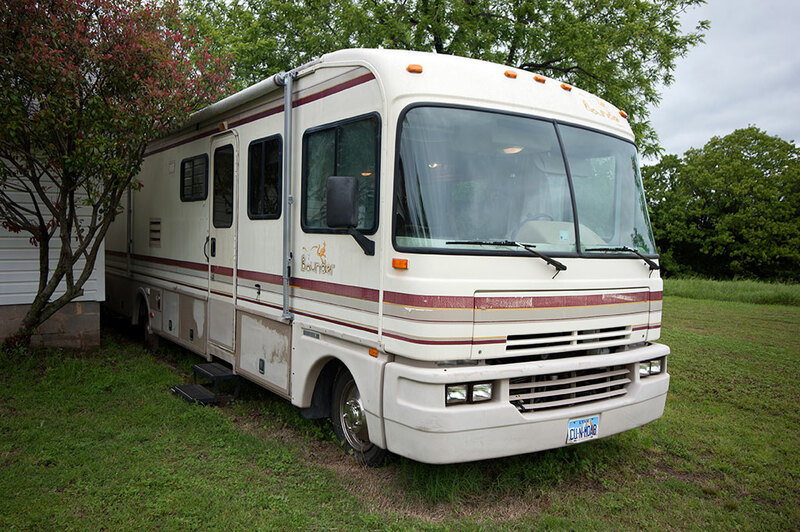 We primarily used it as our base camp when we visited Abby’s family reunion in Duncan, Oklahoma, and her hometown, Ryan, Oklahoma. One of our favorite uses for the RV was as a guest house, so if you were a guest in our RV, let me say thanks! 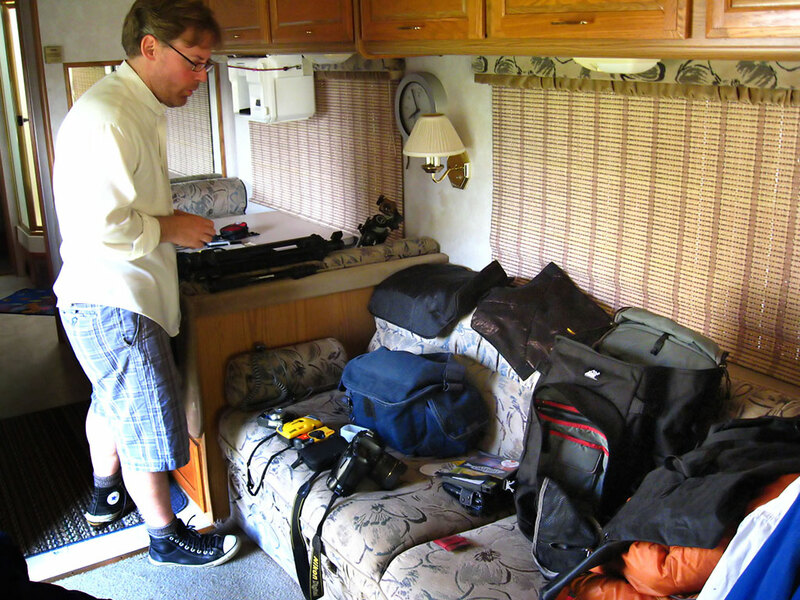 Robert was a frequent guest in our RV, as shown here organizing some of his things in it. Our experience was mostly positive, but we did find it stressful to drive such a large (34-foot) vehicle, and as it aged, repairs became increasingly expensive as major items stopped working. Donald was an excellent choice to take the reigns of The Kokopelli because he is a machinist and engineer, and has extensive experience repairing machines just like this. He does exactly that for a living. Abby and I feel that one day we might buy another RV, hopefully newer and much smaller. I expect that since it’s staying in the family, we will see the this one on occasion, so it’s not like we’re really saying goodbye. 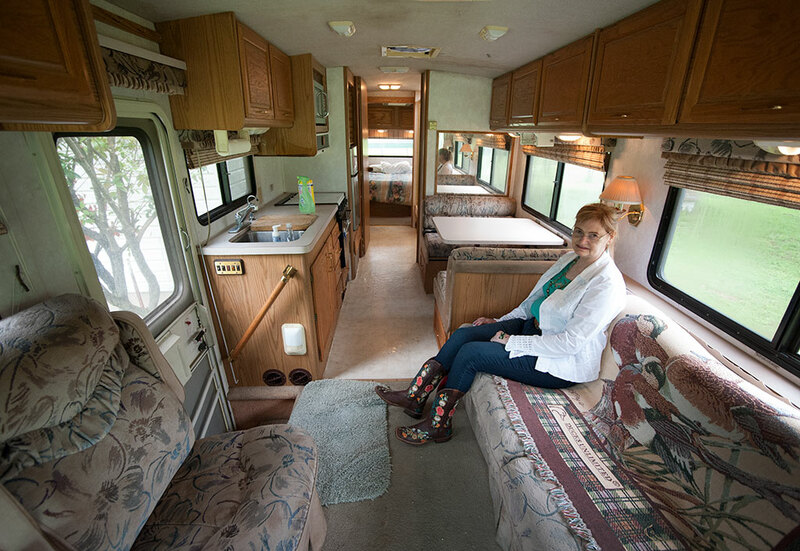 Abby sits on the couch in our RV, The Kokopelli, after cleaning it out prior to selling it to her cousin Donald Ashford. Honestly, I was surprised when you got it, but glad you enjoyed it. Hopefully its new owner will get plenty of use out of it. Many happy stays in this wheeled home.